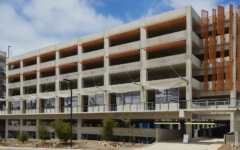 The UC San Diego Athena Parking Structure is located on the University’s East Campus. 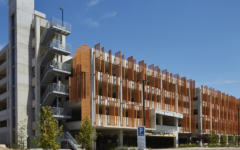 The design includes a feature glass-backed elevator/stair tower located at the primary corner of the building, facing the adjacent street intersection. 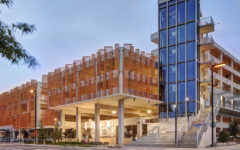 The visually striking façade includes metal screen fins, cast concrete and other enhancements, resulting in a positive addition to the campus. 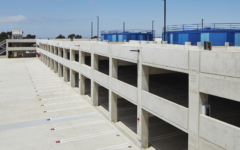 The seven-level, 1,273-space parking structure includes office space for security, as well as an innovative plan configuration that wraps around and conceals two 1.1 million gallon Thermal Energy Storage (TES) tanks that are part of the East Campus chilled water system.